The Cruise Lines International Association (CLIA) today announced an expansion of resources in the European market and several personnel appointments within the association’s new global structure. This follows CLIA’s Dec. 17 announcement that nine cruise industry associations around the world had joined together under a common, unified structure to represent the global cruise industry with one voice. Joining CLIA UK and Ireland, the Dutch Cruise Council (DCC) has agreed to be a part of CLIA and is the 10th cruise association to join CLIA’s newly established global structure. The DCC was formed in 2009 and has 16 member cruise lines. It will operate under the name “CLIA Netherlands.” In France, an agreement was reached with AFCC, the French cruise association, to become CLIA France in late spring. CLIA is also currently developing a German cruise council based in Hamburg which will be named CLIA Germany. 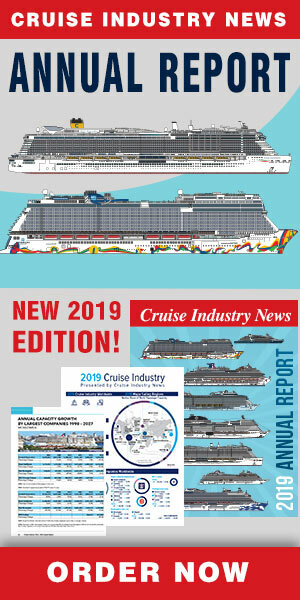 The German cruise market has experienced substantial growth in recent years with the number of passengers growing from 1.2 million in 2010 to 1.4 million in 2011, representing a significant year-over-year increase of nearly 14 percent. Later this year, CLIA plans to establish cruise councils in Italy and Spain to ensure a strong local presence for the cruise industry in those important markets. In addition to CLIA’s expansion in Europe, CLIA also announced five appointments within the newly formed global association. Robert Ashdown has been appointed as the new secretary general for CLIA Europe, formerly the European Cruise Council, where he was director of technical, environmental and operational issues since 2010. Prior to CLIA Europe, Ashdown held a variety of roles with increasing responsibility at the UK Chamber of Shipping. Under the new CLIA global structure, Ashdown will be responsible for all aspects of cruise industry affairs in Europe, working closely with CLIA’s global technical and regulatory function, as well as promotion of cruising. Barbara Muckermann was named global communications advisor to CLIA and will support the global association team with strategic oversight of international communication activities, including media relations and digital strategies. She also will assist with the implementation of CLIA’s globalization efforts involving various cruise association offices outside of North America.. Muckermann was previously chief marketing officer for MSC Cruises. Tomas Matesanz is appointed communications director for CLIA Europe, based in Brussels. Matesanz is responsible for the communications needs for CLIA Europe, including media relations, management of local public relations agencies in various countries, and implementation of CLIA’s global communications priorities in the European markets. Prior to CLIA, Matesanz was senior director at a leading communications consultancy in Spain and Latin America, Llorente & Cuenca, based in Madrid. Didier Scaillet will serve as vice president, business development, responsible for CLIA’s Associate Member and Executive Partner programs, focusing on value creation for CLIA and for the associate members, globally and regionally. Scaillet will manage a cohesive and comprehensive global research agenda, including economic impact studies, market profiling and key industry capacity development data. Scaillet has extensive experience in business and partnership development having served for many years as chief development officer for Meeting Professionals International. Rob Griffiths, formerly a consultant to CLIA, has been named director of technical and regulatory affairs, design and engineering within CLIA’s global Technical and Regulatory function, led by Bud Darr, senior vice president of technical and regulatory affairs. CLIA’s technical and regulatory affairs team represents the global cruise industry before the International Maritime Organization and other maritime regulatory and oversight authorities. 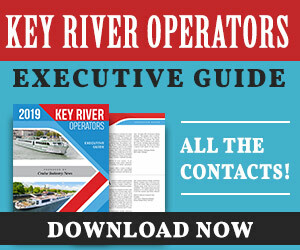 He is responsible for matters involving shipboard operations, safety, environmental protection, and other operational matters involving the cruise industry. Griffiths was previously with the U.S. Coast Guard and is based in CLIA’s Washington, D.C., office.